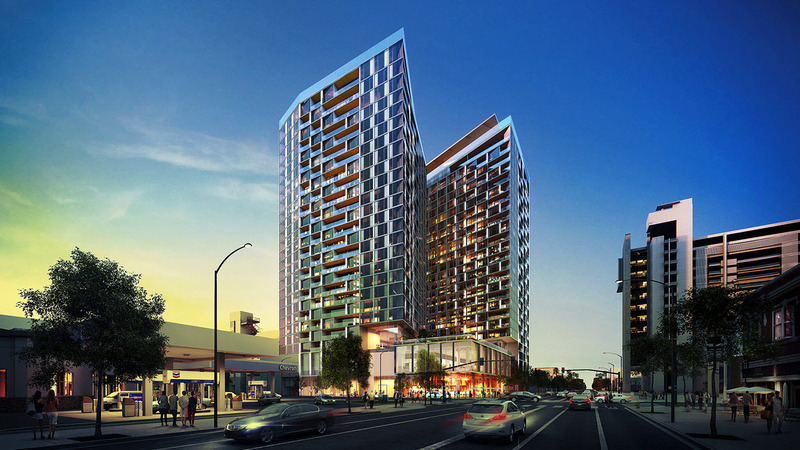 News has been slow on Downtown San Jose towers actually breaking ground, but I did come across a new render for the SJSC mixed-use project across the street from city hall. 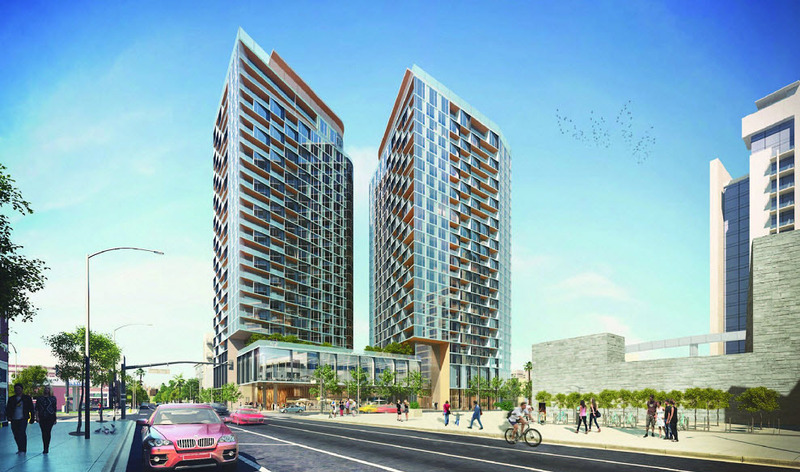 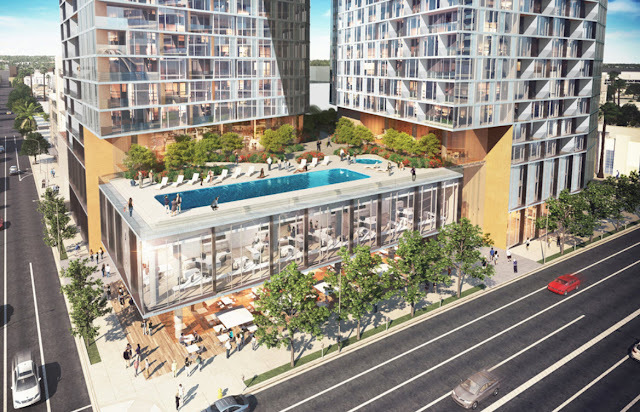 The towers will have residential units, offices, and retail all in the same project. Completion is targeted for 2019.